Hi! We are the world's most relatable podcast. 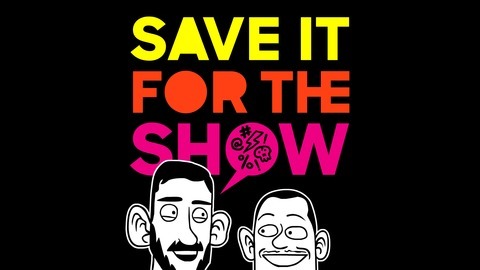 Hosts Dan and Eddie sit down each week and tell each other weird stories, answer questions, give advice, make each other laugh and 'save it for the show'. Listeners say the show says the kinds of things we all think, but would never say out loud. Which is usually something lewd but endearing. Featured in The AV Club and Splitsider. Give us a shot, you'll dig it. Gross, funny and honest. That's us! Well, here we are. The end of the road. It’s our final show and you are going to love it. Don’t worry - the majority is a normal show! We talk about rituals, the Fyre docs, Monster Jam and lots more. Plus of course we reflect on the show, what it’s meant to us, read lots of listener mail, voicemails and more. And even though the show is ending, we aren’t gone forever. 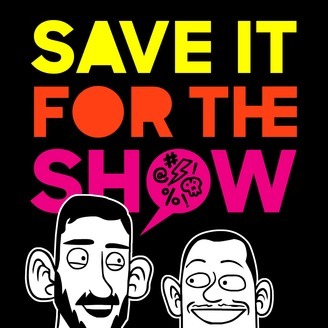 The show will live on archive.org, the website will stay online and you can always email us - saveitfortheshow@gmail.com - or hit me on twitter.com/danthebeast. It’s been real guys. Thanks to you all for the support all these years. When we do something new, you’ll hear about it here first. See you soon!